Catching Up With MLB All-Star Alex Avila | Daily News | NCRegister.com. In it, Avila discusses baseballs (of course) including his position as catcher, and the Tigers “near-miss” at going to the World Series last year. He also talks about his participation in the All-Star game last year. 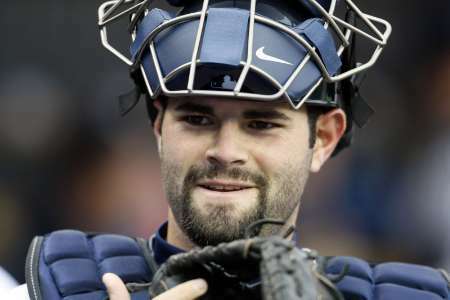 Alex Avila also talks about his Catholic Faith. He talks about his god-father, Tommy Lasorda, his family’s history including his grandparents escape from Cuba, and his paternal grandfather’s miraculous survival as a baby. I especially liked Avila’s discussion about the sacrament of Confession. This entry was posted in Catholic, Culture and tagged Alex Avila, Baseball, Confession, National Catholic Register, Sports, Tigers, Tommy Lasorda, Trent Beattie, World Series. Bookmark the permalink.